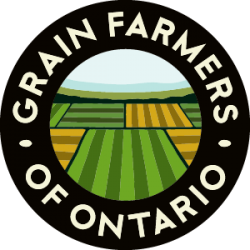 New regulations restricting the sale and use of neonicotinoid treated corn and soybean seeds in Ontario were passed Tuesday, June 9. They came into effect July 1, 2015. The regulations are posted here. In April 2017, Croplife Canada is offering a new app for iPhone and Android phone users, called BeeConnected. This app allows farmers and beekeepers to securely register their properties and hives, so that farmers and beekeeper can discuss and coordinate activities. You can learn more about the app, and download it for free, here. 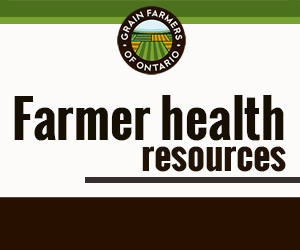 Ontario has introduced requirements around the use of neonicotinoid-treated corn and soybean seeds. These requirements are being phased-in over a period of time to allow farmers and other impacted individuals or groups time to adapt. Starting on August 31, 2017, a requirement that a professional pest advisor conduct a soil pest assessment and prepare a report will begin to be phased in based on geographic area. Refer to section 8.2 and Schedules 1, 2 and 3 of Ontario Regulation 63/09 for information on when a professional pest advisor is required for your area. Once the professional pest advisor requirement is phased in, in your area, a professional pest advisor will need to conduct (or supervise) the soil pest assessment and prepare and sign the report if the inspection has not been performed by a professional pest advisor at least one time in the previous 3-year period. Pest assessment reports may be used to purchase Class 12 pesticides during the 12-month period from the date the inspection was conducted. A person who has completed integrated pest management training and received a certificate number would be able to perform the soil pest assessment in the two years subsequent to the initial professional pest advisor’s report. The provision requiring that professional pest advisors be financially independent comes into effect on August 31, 2017. This means he/she cannot receive a specific financial incentive (above and beyond their salary or commission) to promote the sale of Class 12 pesticide-treated corn or soybean seed over the sale of non-Class 12 seed. Further information to clarify the “financial benefit” requirement is available here. For farmers who farm fields in different areas, the MOECC has clarified that the obligation to have a pest assessment completed by a professional pest advisor is only for fields in the designated areas. Further information is available here. You can read Grain Farmers of Ontario’s response to the Ontario government’s proposed restrictions on neonicotinoid-treated seeds here, along with the recent Ontario Grain Farmer magazine article Farming Without Neonics and the Conference Board of Canada’s Seeds for Success: The Value of Seed Treatments for Ontario Growers. Other relevant documents will be posted as they become available.